The most ubiquitous and classic of all Pacific Northwest fishing experiences is rising at some ungodly hour to board a 40-foot diesel guzzler and filling your stomach with cheap beer and Bromine to prepare for the high-sea adventures to come. 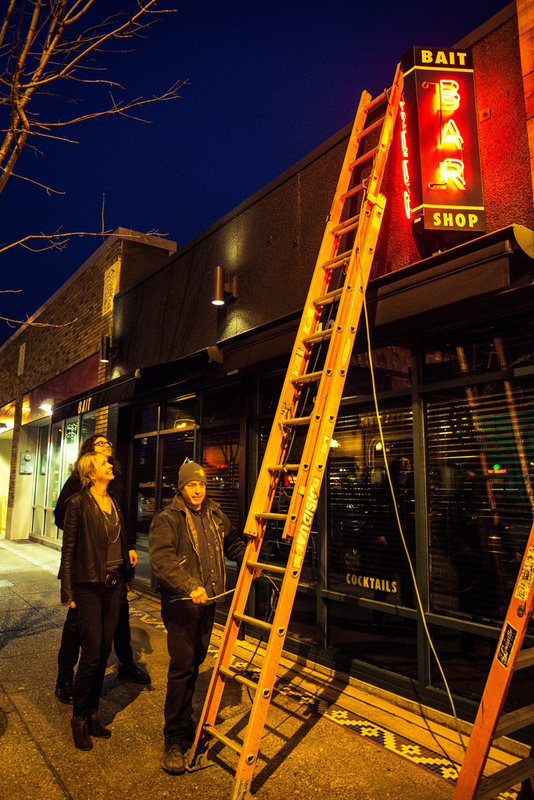 We’re not sure how much of this experience Linda Derschang has planned into her new Broadway bar and restaurant, Bait Shop, but hopefully you’ll be able to find a cold can of Rainier if not a school of coho. The official opening of the new space is Monday — but we can tell you the bite will be on this Sunday night. Tight lines. Tallulah’s is planned as a restaurant and bar cut from similar cloth to Derschang’s Smith and Oddfellows but with a lighter, brighter take and more of a focus on the simple, rustic food the sister locations have specialized in. 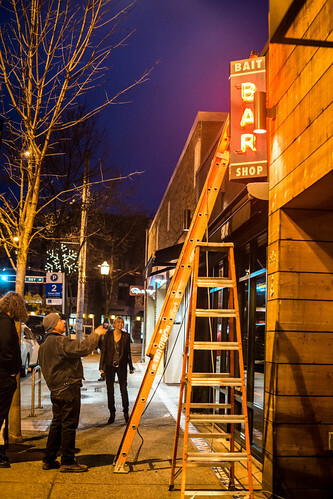 It will start as a dinner and brunch restaurant — no lunch — with plans to be open seven days a week in the eastern reaches of Capitol Hill’s leafier, quieter and more wow there are a lot of kids in here-ier end of things. Tallulah’s will have around 75 seats and what is being described as an enormous patio. We’ll serve tasty dishes like fish ‘n chips, fried chicken sandwiches, and a fresh wedge salad. To wash it all down try a Painkiller made with rum,pineapple juice and coconut cream (plastic mermaid included) or aclassic Margarita from one of our two frozen drink machines! Bait Shop is slightly nautically themed, but we ain’t Red Lobster: imagine globe lights from the Paramount Theater and a 7 foot marlin proudly mounted on our knotty pine walls along side the hood of a ’77 Firebird. We’ll have a record player sitting on the bar a few days a week with a stack of old and new vinyl. We encourage folks to bring in a few gems from their collections and give ’em a spin. 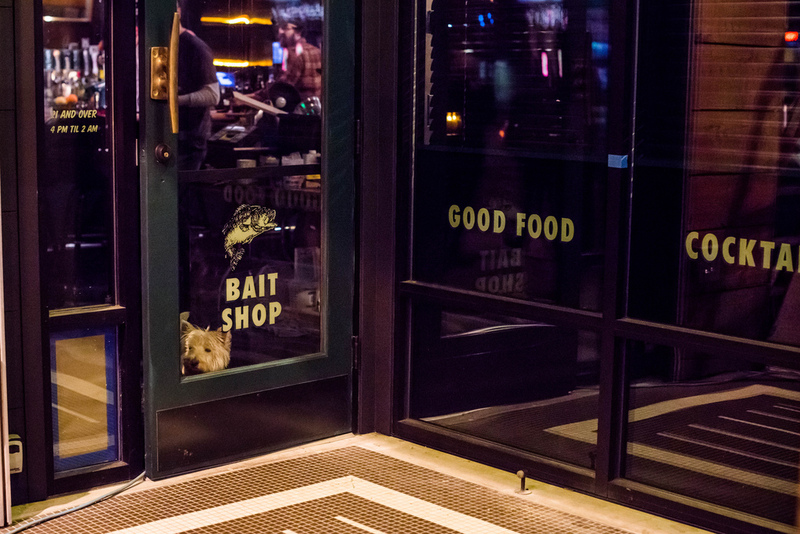 Whether you are craving frozen cocktails or a fried chicken sandwich, Bait Shop will strive to be your new old friend on Capitol Hill. CHS first reported on the plan for Bait Shop last August as Bako, the previous tenant in the space, closed after less than a year in the space. I’m glad to see new businesses like this in the neighborhood. I think we all know what will happen if these one-story buildings on Broadway don’t continue to be occupied and generate revenue for the business owners and the land owners. They’ll tear them down and put up the six-story apartment buildings that it seems will line all of Broadway within a decade or two.